In the name Cornelia Connelly gave the congregation she founded, the Society of the Holy Child Jesus, she expressed her insight into the mystery of God who became human to save us. Members of the Society continue to be drawn by the Spirit today in the same way that she was. We have created a list of resources that we encourage everyone to use as time spent with God, loving and being loved. As we grow in intimacy with God, God’s power at work in us can touch the hearts of those we meet. Since the days of Cornelia Connelly, Holy Child Sisters have been making an annual three-day retreat in preparation for the feast of the Epiphany. This year’s retreat, was written by Tobie Tondi, SHCJ. Monthly Meditation is a video produced each month by the Holy Child sisters. Ecospirituality Resources is a website and blog that connects concern for creation with growing faith in the Mystery within it. iGod Today is an app available in both English and Spanish. The Message of the Day is a 1 to 2-minute inspirational video that delivers the positive words and inspirational messages of Pope Francis. Pray as you go is a daily prayer session, designed for use on portable MP3 players, to help you pray whenever you find time, but particularly whilst travelling to and from work, study, etc. It is produced by Jesuit Media Initiatives. Sacred Space invites you to make a ‘Sacred Space’ in your day, with the help of scripture chosen every day and on-screen guidance. Available in 20 languages. Today’s Good News promotes the Gospel using modern media techniques. Thinking Faith publishes articles that offer a faith-based perspective on contemporary issues and resources about the Catholic tradition. Loyola Press: 3 minute retreat invites you to take a short prayer break at your computer and spend some quiet time reflecting on a Scripture passage. In Spanish and English. Retreat Association is an organization that helps people find ways of exploring and deepening their journey with God through spirituality and prayer. Radio Notre Dame is a Catholic radio station in France. “Begin Again” E-Retreat – Start the New Year with the Society’s “Begin Again” E-Retreat with three (3), three to five-minute videos. This first reflection focuses on beginning again with God. The phrase “begin again” comes from the original rule that Cornelia Connelly wrote for the Society; she said, “… so ought all to begin again with the most…loving child Jesus – a humbled God…” Enjoy this second mediation on making fresh starts in 2016, beginning with your relationship with others. 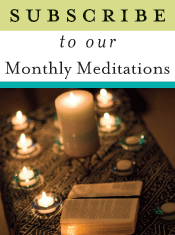 Enjoy this third and final mediation that focuses on starting anew in the New Year. Take three minutes to reflect on making fresh starts in 2016, beginning with yourself.